Willie McCreery feels it may be hard for Bloomfield to give weight away to the three-year-olds in the Irish Stallion Farms EBF Give Thanks Stakes at Cork on Saturday. The Group Three has gone to the Classic generation for the last four years, with Dermot Weld also responsible for four of the last six winners – though the master of Rosewell does not have a runner this season. Bloomfield was a Listed winner at Gowran in May but ran her first poor race of the season last time out when only sixth in the Curragh Cup. “I just felt the ground was a little too quick for her the last day,” said McCreery. “Hopefully we’ll get some rain before the race. There’s been plenty forecast but, as yet, it keeps missing and the forecast keeps changing. “She’s a Listed winner already so it would obviously be lovely if we can win a Group Three. 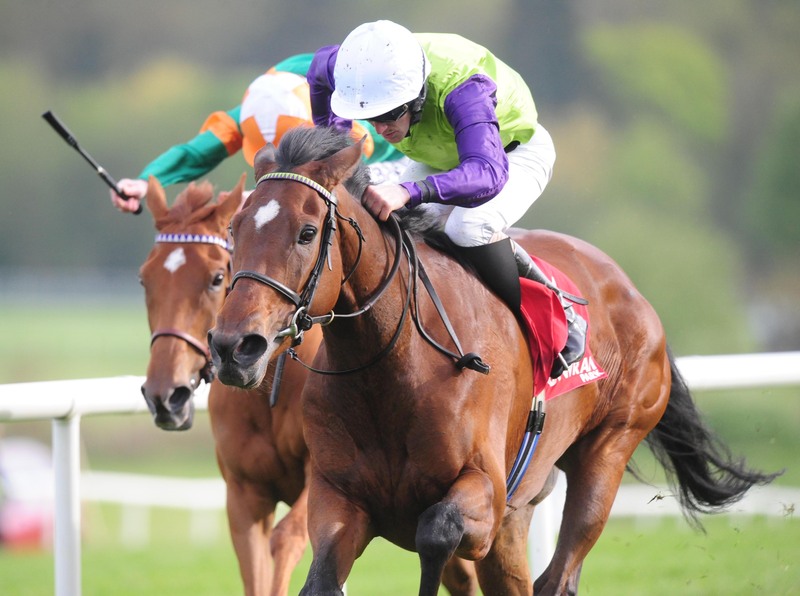 Mick Halford’s Kalaxana, a Listed winner at Roscommon, and Aidan O’Brien’s Sizzling, who dead-heated in the Vinnie Roe Stakes last time, out are the two-three-year-olds in question. Jim Bolger’s Turret Rocks, the O’Brien-trained Clear Skies and Naughty Or Nice from John Oxx’s yard complete the field.